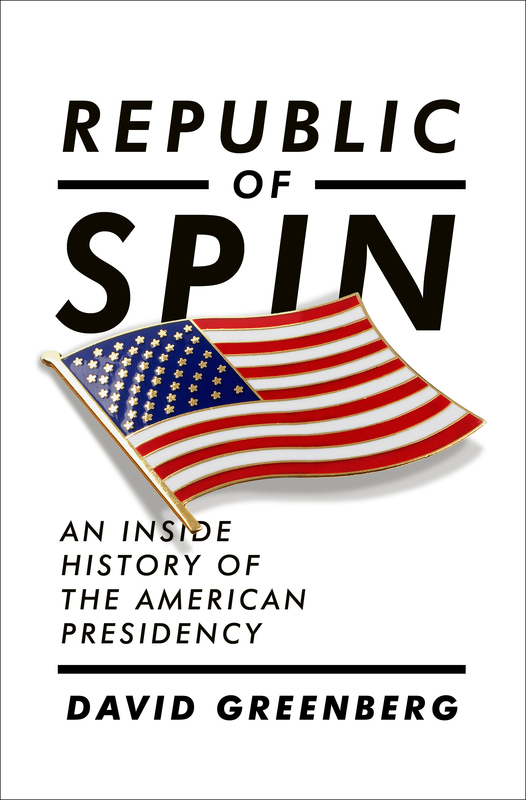 In Republic of Spin—a vibrant history covering more than one hundred years of politics—presidential historian David Greenberg recounts the rise of the White House spin machine, from Teddy Roosevelt to Barack Obama. His sweeping, startling narrative takes us behind the scenes to see how the tools and techniques of image making and message craft work. We meet Woodrow Wilson convening the first White House press conference, Franklin Roosevelt huddling with his private pollsters, Ronald Reagan’s aides crafting his nightly news sound bites, and George W. Bush staging his “Mission Accomplished” photo-op. We meet, too, the backstage visionaries who pioneered new ways of gauging public opinion and mastering the media—figures like George Cortelyou, TR’s brilliantly efficient press manager; 1920s ad whiz Bruce Barton; Robert Montgomery, Dwight Eisenhower’s canny TV coach; and of course the key spinmeisters of our own times, from Roger Ailes to David Axelrod. Greenberg also examines the profound debates Americans have waged over the effect of spin on our politics. Does spin help our leaders manipulate the citizenry? Or does it allow them to engage us more fully in the democratic project? Exploring the ideas of the century’s most incisive political critics, from Walter Lippmann and H. L. Mencken to Hannah Arendt and Stephen Colbert,Republic of Spin illuminates both the power of spin and its limitations—its capacity not only to mislead but also to lead.